In Aliens vs. Predator: Requiem, the iconic creatures from two of the scariest film franchises in movie history wage their most brutal battle ever - in our own backyard. 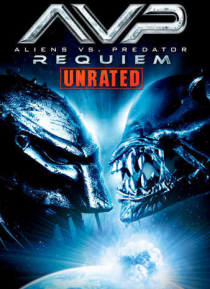 The small town of Gunnison, Colorado becomes a war zone between two of the deadliest extra-terrestrial life forms - the Alien and the Predator. When a Predator scout ship crash-lands in the hills outside the town, Alien Facehugger… s and a hybrid Alien/Predator are released and begin to terrorize the town.